Week One along the High Line, Section Two . . .
One week ago today the High Line opened its Section Two. The new span stretches beside 10th Avenue between 20th and 30th Streets. This expansion doubles the length of the park and includes some new features such as the 23rd Street Lawn, an elevated grassy area designed for public relaxation. Two visits have plunged me into humongous crowds that resemble market days at Union Square. 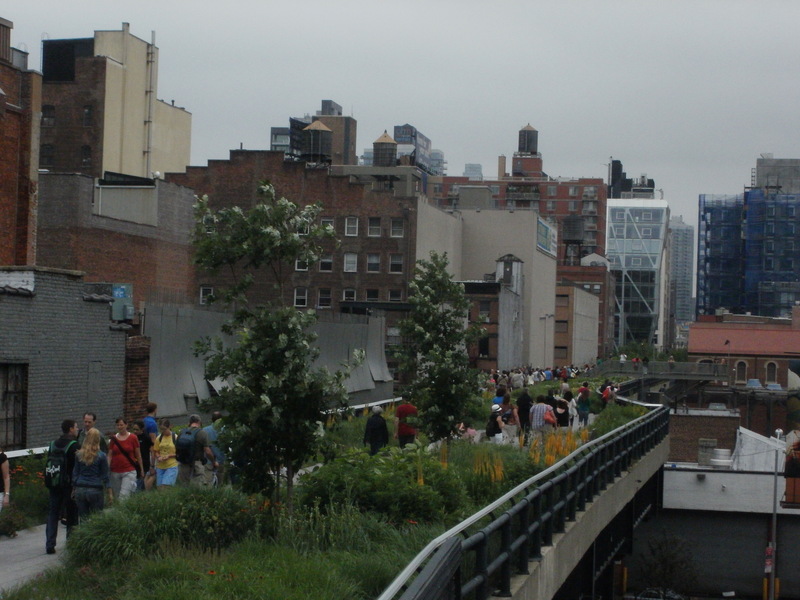 The High Line may be twice as long, but it is at least ten times more popular, too. Several articles in The New York Times alone have celebrated the new opening as well as the park’s solid reputation as a crime-free zone. Today’s visitors included a crowd surrounding a cooking celebrity and a model who was posing for a fashion layout. The results of this attention already show on the park. The much vaunted lawn has been closed off due to wear from the opening week’s foot traffic. Unlike media attention, celebrity sightings, or sound bites from politicians, the High Line is here to stay. 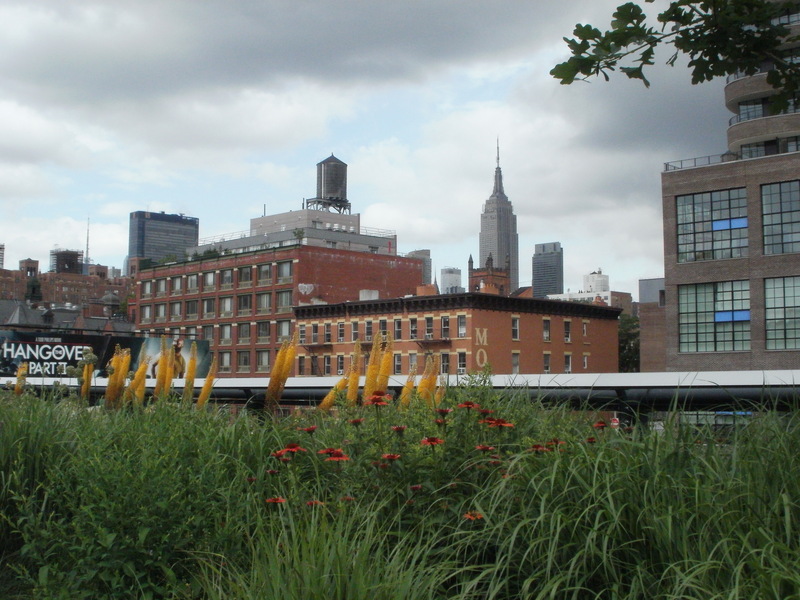 postscript: Click on the “High Line” link listed under the Blogroll to visit the Friends of the High Line website.